Criminals know no boundaries. They would do anything, hurt anyone in their selfish quest to rob and steal from innocent members of the community. They are so heartless, cruel and have been blinded by greed, covetousness and their criminal intentions; they have shut their minds from what is decent and moral. You see the thing in Samoa today is that some of them have gone as far as beating up vulnerable elders, threatening women and children to take what they want by force. How many stories have we been told about thieves breaking into homes and beating up residents before they rob them? This week, another disturbing element in these criminal activities surfaced. Although this tactic is not exactly new, the idea that more and more criminals are resorting to it is truly frightening. We are talking about thieves who deliberately poison dogs in a neighbourhood so they can go in and rob the houses later. The issue was raised by one of the victims, Ulalei Keil Van Heeswyk, of Vaoala, who later found out that four other families in her neighbourhood also had their dogs poisoned and their homes robbed. Obviously in the minds of these criminals, they don’t care that in some households, dogs are not just pets and guard animals; they are members of these families. Man’s best friend, they say. Here is what’s even more worrying, if these criminals have gone as far as poisoning dogs, what do they plan to do next? Are they going to poison people too? Kill them however they can? What is wrong with these people? 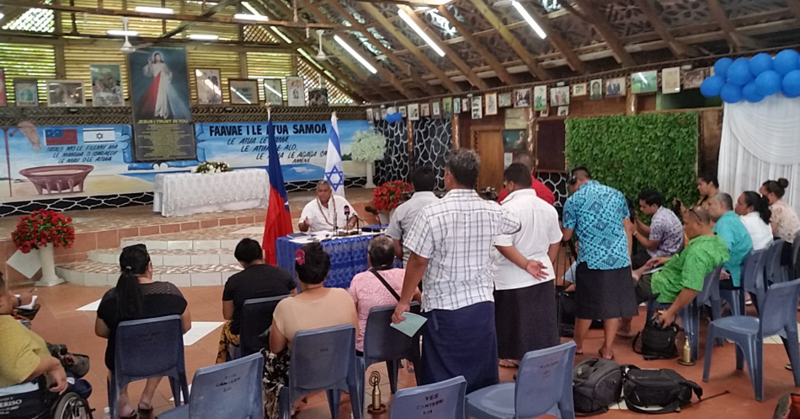 Folks, it’s difficult to believe that this is happening in Christian-state Samoa. What we need to remind here and now is that our attitude towards animals is often the best reflection of who we are and how we consider one another. Animals – dogs included – are vulnerable and are often at the mercy of their owners. For many of us, they are not just dogs. They are family members, they represent the best part of the day when we go home and they come running. Whether they are dogs, cats or whatever, they are precious. We feel for Ulalei and everyone who has experienced this sad feeling. She summed it up perfectly when she said: “It’s not just an animal to us, they’re family and they also protect us. No one deserves to have an inhumane and cruel death like that. “They’ve got to imagine themselves or one of their children swallowing that poison and them not being able to eat and suffering until death. Local vet Lilomaiava Ken Lameta has some ideas. He said 99 percent of cases where dogs have been poisoned are deliberate. The poisoning comes before a robbery. “They come in and poison the dogs and then they come back a week later and attack the houses because the dogs are not there,” he said. “I’ve had three families with the same problem recently, their dogs were poisoned and then the next one or two weeks later, their houses were broken into. This is a very serious issue. It’s not just animal cruelty; there is obviously an element of organised crime to it, which the Police should investigate immediately. They need to find these criminals and lock them up where they truly belong. In the meantime, the Vet also raised concerns that proper procedures are not followed when selling chemicals like weed killers, which is the most popular form of chemicals used to poison dogs. It’s sad that this is happening in Samoa today. If anything, let this be a wake up call, not just to all animal lovers to be alert about protecting their animals but to the relevant authorities – Police and Agriculture included – that they too have a major role to play to end this madness once and for all.